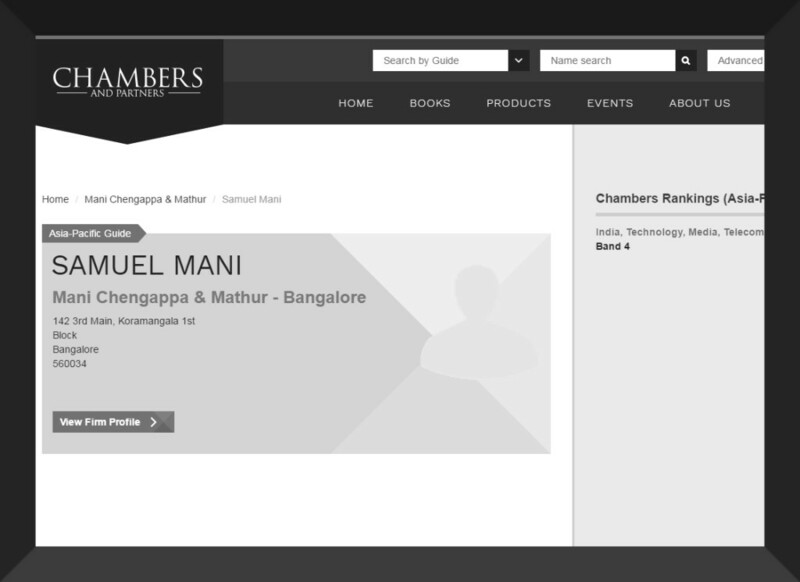 Samuel Mani was profiled as a top lawyer by Chambers and Partners guide which is the culmination of thousands of interviews with lawyers and clients, carried out by the largest research team in the industry. It recognised Samuel Mani as one of the best lawyers in the Asia-Pacific region in TECHNOLOGY, MEDIA, TELECOMS (TMT) in INDIA. MCM was ranked as a leading law firm.